A set of 4 laser cut felt coasters by Molly M Designs of San Francisco, CA. In cool color shades, 4" diameter. 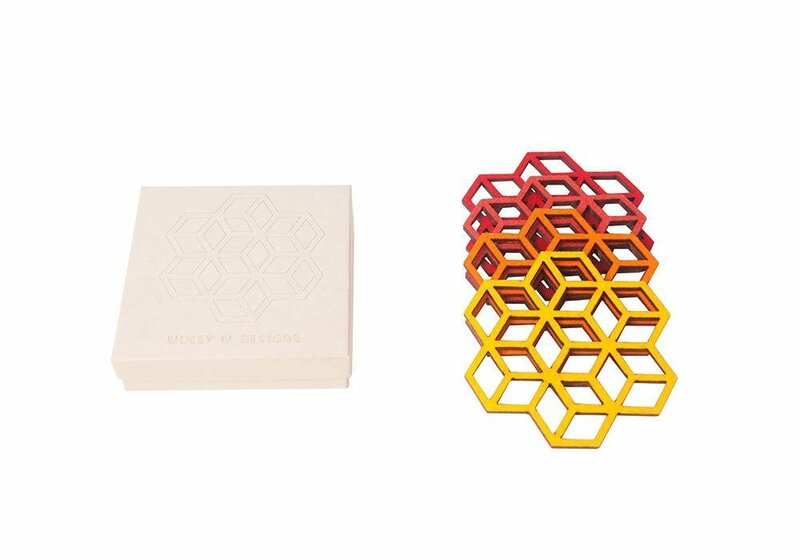 Arrives boxed.Molly McGrath is a designer based in the Mission district of San Francisco. She is professionally trained as an architect, and after using a laser cutter to make architectural models, she recognized the machine’s unique potential to make jewelry and other designed objects. Her collection includes jewelry and homewares.